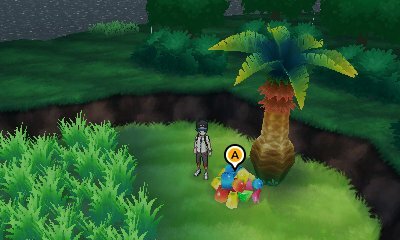 As with all games, Berries are a very important factor in the game. 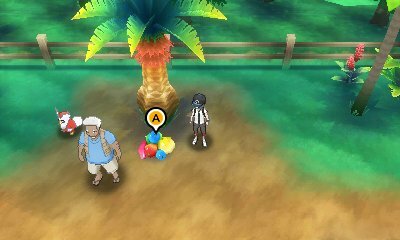 While you have the ability to grow the berries you have in the Poké Pelago, getting the berries at first may be elusive. 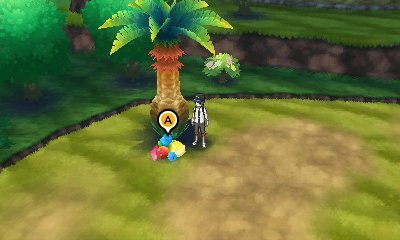 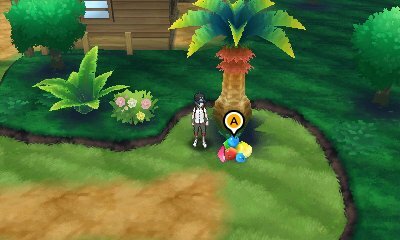 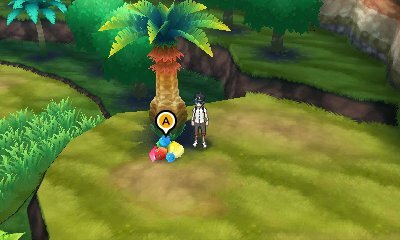 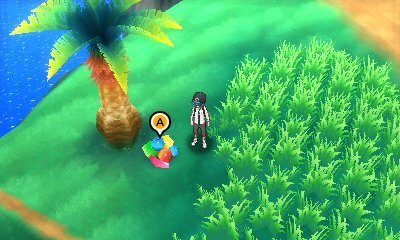 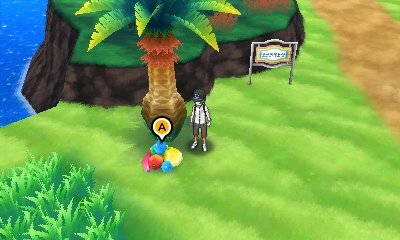 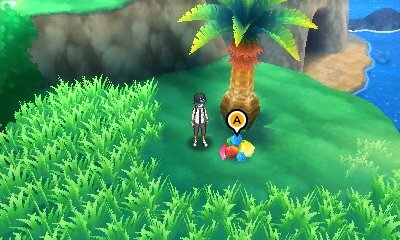 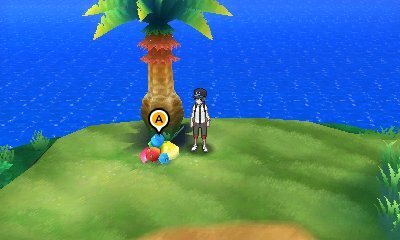 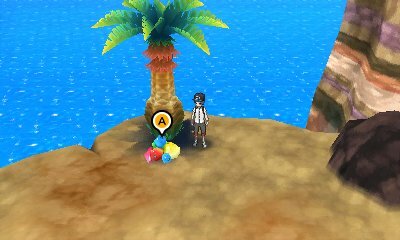 In this game, in the overworld of Alola, there are numerous Palm Trees which will have berries in front of them. 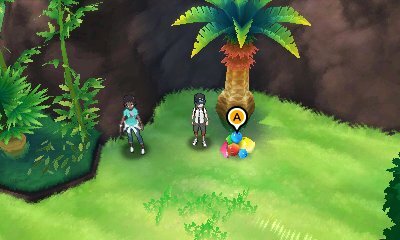 This is where you get your berries. 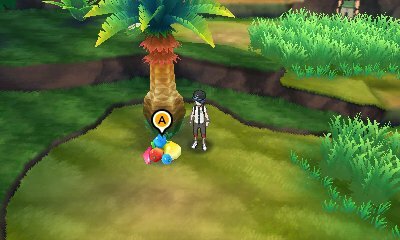 Each time you get the berries, you'll get between 2 and 5 Berries, and the berries will regenerate at the start of every day. 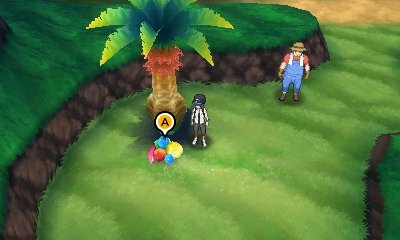 On some occassions, in the Berry pile, you will see a rustling. 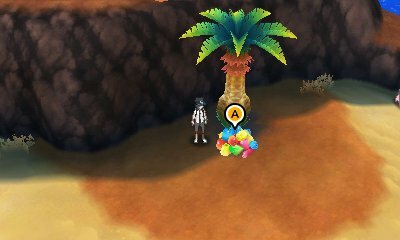 The Pokémon Crabrawler is only found through this.